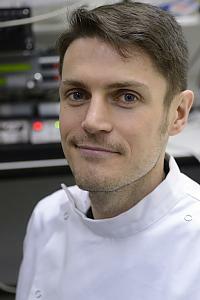 Dr Ewan Smith is pleased to consider applications from prospective PhD students. The main interest of the Smith lab is to understand the molecular mechanisms by which sensory neurones detect noxious stimuli, so-called nociceptors. We are particularly interested in how acid activates nociceptors in both physiological and pathophysiological states. A further area of interest in the Smith lab is the unusual physiology of the naked mole-rat, an animal that is cold-blooded, lives for 30+ years, is resistant to cancer and is also eusocial! We aim to conduct comparative physiology and genetics with the naked mole-rat in order to identify molecules and circuits that underlie aspects of their “odd” physiology, results from such work will lead to a greater understanding of how “normal” physiology works in other mammals including humans. Are pain researchers forgetting females?